Nearly 700,000 people in Scotland have problem debts or are at risk of having them, a charity report has warned. Debt advisory charity StepChange Scotland, which helped 30,000 people struggling with money issues last year, said council tax arrears were a problem for 46% of them. Its Scotland in the Red report said the cost to the public purse was £750m. The charity said those they helped had on average £12.64 a month after paying housing, heating and council tax. 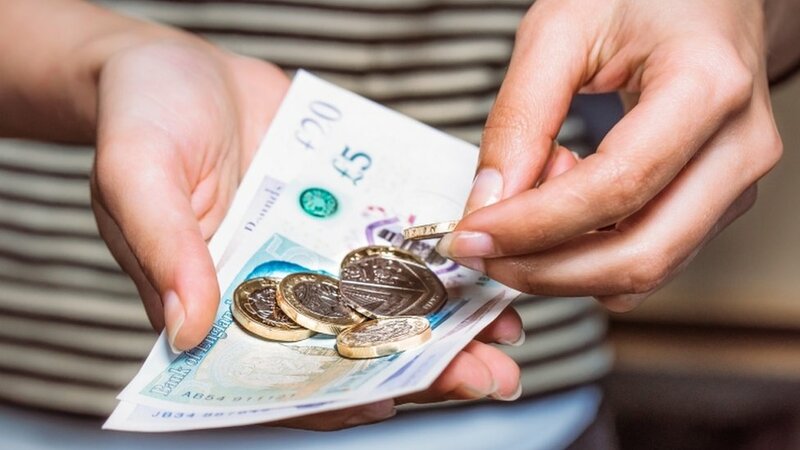 StepChange Scotland has called on local authorities to ensure they have “sustainable arrangements” that give people a “fair chance” to repay their debt. It also recommended the Scottish Government task a minister with coordinating and developing a “high impact action plan to address the crisis that is blighting many lives and businesses across Scotland”. Sharon Bell, head of StepChange Scotland, said she was “increasingly alarmed by the increases in the proportion of our clients who are struggling with household bills, particularly council tax”. Research by the charity “shows that our clients in Scotland are significantly more likely to have council tax arrears compared to elsewhere in the UK”, she added, with the average amount of council tax arrears being £2,017. Problem debts were “primarily a symptom of poverty, poor housing conditions, welfare cuts, ill-health and insecure work”, the report said. StepChange Scotland estimated the social cost of problem debt amounts was about £750m, with public services having to deal with mental health problems caused and exacerbated by debt, and demand for housing help. The charity is also calling for more work to be done to encourage people with money problems to seek help earlier to minimise the harm debt can cause. Ms Bell said: “The vast majority of StepChange clients are in problem debt due to circumstances they could not have prevented or planned for, such as unemployment, ill-health or reductions in income. A spokesman for the local government organisation Cosla said: “Scotland’s councils take this issue very seriously and do all that they can to help people who find themselves in arrears.